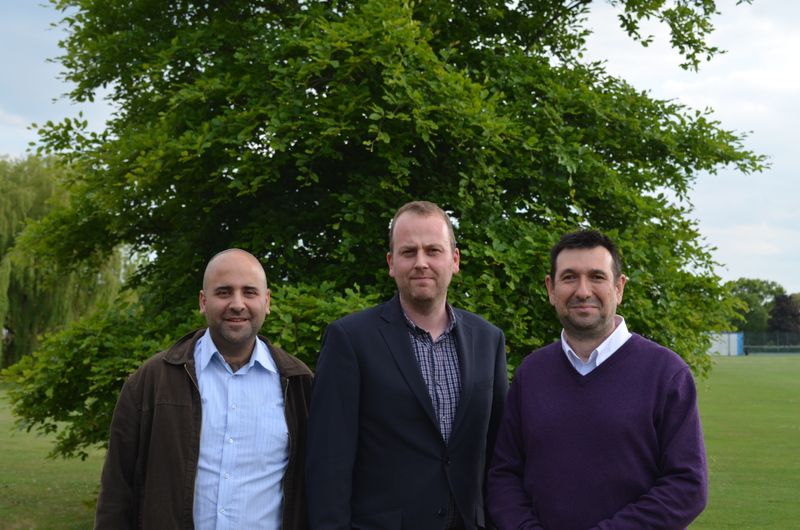 The CASS ‘Hate Speech’ project team were invited on the 16th of June to present some of our findings at a Symposium on Anti-Muslim Hate Crime held at the University of Cambridge Centre of Islamic Studies. The Symposium was organised by Julian Hargreaves, a Lancaster University Law School PhD student and Research Associate at the Cambridge Centre. The symposium brought together academics, community experts and civil society leaders in a unique event that allowed the sharing of knowledge, experience and expertise on the subject from a wide range of perspectives. The first session of the day focussed on the research approaches and findings from three UK academic centres. Stevie-Jade Hardy from the University of Leicester’s Hate Crime Project isolated and shared some of the project’s key findings on experiences and impacts of hate crime for Muslims in Leicester. Sussex University PhD student Harriet Fearn discussed the early observations she had made in her research on the impacts of hate crime against Muslims on the internet. Representing CASS and Lancaster University Law School, Paul Iganski and I then delivered a presentation of our work conducted with Jonathan Culpeper examining Crown Prosecution Service files from cases of religiously aggravated offences. In our paper titled ‘A question of faith?’, Paul and I explored the boundaries of free speech, the roles of religious identity and religious beliefs in the alleged offences committed, and the commonalities in the circumstances and contexts which surround offences prosecuted as religiously aggravated. After lunch, the experiences of representatives from three community organisations confronting hate crime in Britain were shared with those present. Alice Purves gave a compelling account of the challenges faced by the Edinburgh and Lothians Regional Equality Council (ELREC). Jed Din, director of the Bradford Hate Crime Alliance then offered a personal account of the particular challenges of anti-Muslim hate crime and his own visions to develop community cohesion as a response. The session concluded with a presentation on anti-Muslim hate crime in Leicester from Jawaahir Daahir, CEO of the Somali Development Services. The final session of the day, chaired by Paul Iganski, offered different approaches to documenting and responding to anti-Muslim hate crime. Shenaz Bunglawala, the head of research at MEND, shared insights and observations on the prevalence of anti-Muslim hate crime and attitudes to Muslims in Britain. The presentation included several of the key findings and observations from the research led by CASS director Tony McEnery on Representations of Islam in the British press. Those gathered then had the opportunity to hear from Hayyan Bhabha, the independent parliamentary researcher for the All Party Parliamentary Group on Islamophobia, who shared the latest developments in the work of the APPG and illustrated some of the evidence received or collated by the APPG. The final paper of the day came from Vishal Vora, from SOAS, with a perspective on indirect discrimination towards British Muslim women as a consequence of declarations of ‘non marriage’ by the English family court. The symposium was a very successful event and Paul and I very much enjoyed contributing to the day. Thanks are due to Julian and to Louise Beazor for putting together a very interesting programme, bringing together a wide range of perspectives on an important social issue, and arranging a highly productive day for all in attendance. All crimes hurt in one way or another — emotionally, physically, or economically. Yet an accumulation of research evidence now shows conclusively that as a category of crime, hate crimes hurt more on average compared to otherwise motivated crimes. Hate crime victims are more likely to report experiencing post-victimisation emotional and psychological distress. The greater harms inflicted by hate crimes provide the justification for hate crime laws. Any objections that such laws restrict freedom of speech fail to acknowledge that the expressive evidence by which we come to recognise hate crime rarely consists of what we might conventionally call ‘speech’. ‘Invective’ is a more accurate word. And it is likely that in a majority of hate crimes the spewing of hateful invective is the sole act by the perpetrator. In addressing a seminar bringing together LGBTI organisations from across Europe with EU policy makers and other experts on hate crime in Brussels on International Human Rights Day last week, organised by ILGA-Europe, the International Lesbian, Gay, Bisexual, Trans and Intersex Association of Europe, I asked, given that the harms of homophobic hate crime are well-documented (and by inference the same gravity of harms are likely to be inflicted by transphobic hate crime — although less well documented), why is it that these crimes are not treated equitably in Europe with racist crimes which are subject to the 2008 EU Framework Decision on Racism and Xenophobia? The Framework Decision includes an obligation for the criminal jurisdictions of Member States to consider racist or xenophobic motivation as an aggravating circumstance, or alternatively for the courts to take such motivation into account, in the determination of penalties for convicted offenders. A victim’s personal biography will shape how they react to crime. There will therefore be considerable variation in the reactions of hate crime victims — as there will be with victims of otherwise motivated crime. However, it is clear that as a group, hate crime victims report greater hurts when responding to crime surveys. There are a number of reasons that might be proffered to explain this phenomenon. Chief among them is that hate crimes are ‘message crimes’. Intentionally or not, perpetrators send a message that their target is disparaged, denigrated, marginalised. The message strikes at the core of the victim’s identity. But the message is not personal. It is not about the particular individual on the receiving-end. It is about what their identity represents in the particular cultures in which hate violence is nested. Such representations give permission for violence. And violence should not just be thought of physical attack. We might also think of violence as ‘violence of the word’ — to use a phrase coined some years ago to characterize threats, slurs, epithets and other forms of verbal denigration and hateful invective. We all know the common terms of abuse that constitute homophobic and transphobic invective. I won’t parrot them here. Often, these offences are referred to as ‘low level’ because they don’t inflict physical injury. But the mental wounds can be severe as evidenced by studies of post-victimisation distress and the testimony of victims. We all know the old-adage ‘sticks and stones may break my bones but words will never hurt me’. What an awful lie. The emotional wounds inflicted by hateful invective can linger long beyond the time it takes for physical injuries to heal. A disturbing picture of this type of victimisation was revealed recently by one of the most comprehensive surveys to date of the experience of discrimination, harassment and violence against lesbian, gay, bisexual, transgender and queer people, carried out by the European Union Fundamental Rights Agency in 2012. Almost a fifth (19%) of the 93,079 people aged 18 or over across the 27 EU Member States and Croatia, who responded to an online questionnaire, said that they had been victims of harassment in the past year — partly or completely because they were perceived to be lesbian, gay, bisexual or transgendered. Lesbian women were the most likely to have been harassed—almost a quarter (23%) in the last year—along with transgender respondents, of whom 22% had been harassed in the preceding 12 months. Just as hate crimes are message crimes, the omission of homophobic and transphobic hate crime from the scope of the 2008 EU Framework Decision unfortunately unintentionally sends a message: a message that such crimes are considered to be less serious than racist crimes. The communicative function of the law cannot be understated. To understand this, in the case of hate violence, we need to understand the cultural context of such violence. It is nested in cultures of bigotry, prejudice, stereotypes, and narratives about difference—real or imagined. Challenging hate violence therefore necessitates challenging the cultural values which spawn hate. In this context the law plays a crucial role in constructing resistant narratives against the attitudes and values, or in other words the cultures, underpinning hate violence. Law and culture are deeply interwoven. The law is not simply an autonomous product of culture. The law is constitutive of culture itself by providing a narrative of how a society seeks to visualize itself and envisions relations between its members. The law therefore not only sends a message of condemnation of hateful behaviour: it is the message. In response to homophobic and transphobic violence there is a need to send a message back that such violence is abhorred no less, and no more, than racist violence. The same message needs to be sent about other forms of discriminatory violence. Laws against hate crime are therefore a vital component of the counter-narrative against the cultural values which spawn hate violence. Using the law in this way to challenge culture does not impose a cultural straightjacket. In the case of hate violence, by seeking to restrain and alter aspects of culture that are destructive of human interaction the law seeks to lay the foundations for the dynamic evolution of our communities by denouncing the values that underpin hate violence and by implication promoting respect for diversity and difference. While hate crime laws are an essential cultural force, it does not necessarily follow, however, that all offenders should be subject to punitive measures upon conviction. It needs to be acknowledged that the culpability of offenders is shared with the communities where the cultural values which spawn hate violence reside. Many offenders who perhaps lash out in the heat of the moment, or who perhaps have a laugh at the other person’s expense, or perhaps go along to get along with friends, may not be aware of the full depth of hurt they inflict on their victim when they vent commonly-held bigotry. In many cases, rehabilitative interventions, or some other form of therapeutic intervention aimed at helping the offender to begin to address the personal and social contexts for their offending will be more appropriate and just. To get to that point though criminal justice systems across Europe need to take homophobic and transphobic hate crime seriously so that victims and offenders might receive an appropriate response. In this context, the target of hate crime laws is not only the everyday cultures in which hate violence is nested. Such laws are also targeted at the cultures of criminal justice organisations to promote understanding of what hate crime involves and why it should be taken seriously. The 2008 Framework Decision on Racism and Xenophobia has prompted some EU Member States to extend legal measures against hate crime to include homophobic and transphobic violence. We now need all Member States to establish inclusive hate crime laws to address such violence and to end an indefensible double-standard whereby violence on the basis of a person’s sexual orientation or sexual identity is treated less seriously in some countries compared to others, and less seriously than other forms of discriminatory violence. Paul Iganski is Professor of Criminology and Criminal Justice in the Lancaster University Law School, UK. His latest book, Hate Crime. A Global Perspective, written together with Jack Levin from Northeastern University’s Brunick Center on Violence and Conflict, in Boston, will be published in May 2015. 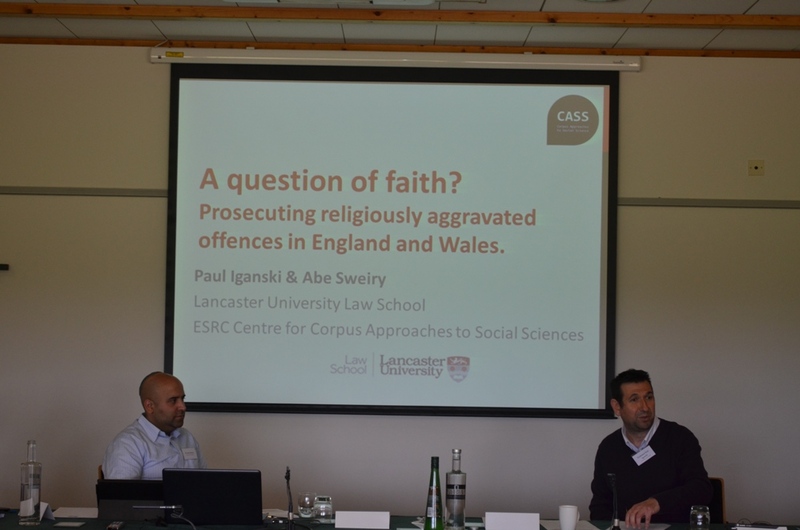 Paul is on the Management Board of the Lancaster University ESRC Centre for Corpus Approaches to Social Sciences (CASS) and leads a CASS research project on The management of hateful invective by the courts. Matsuda, M. (1989) ‘Public responses to racist speech: considering the victim’s story’, Michigan Law Review, 87, pages 2320-2381. European Union Agency for Fundamental Rights (FRA) (2013) European Union Lesbian, Gay, Bisexual and Transgender Survey, Vienna: European Union Agency for Fundamental Rights.